What are the rewards and challenges? India is a vast country and has various diverse cultures. The cultural diversity at a workplace can present interesting rewards as well as challenges. Because culture is usually taken-for granted it is challenging for an organisation to anticipate how things will turn out and how people will respond. Talk of diversity at a workplace is nothing new, but studies show that the more diverse a workplace is the more success it achieves, An organisation’s success vastly depends on the one’s ability to accept diversity and realize it’s benefits and an organisation should look at how to manage as well as increase diversity. Cultural diversity has a varied number of advantages. It is seen that the more diverse the group of people are in the organisation the more prompt will be the decision making, as one will have an idea from various people, as diverse groups tend to focus on facts when decision making and there is more inflow of ideas. They look beyond the same thinking and examine and re-examine facts. When several people approach problems and challenges from varied perspectives, one will discover a more creative solution. People of the same culture may naturally get along together, but cross-cultural understanding creates a better working environment. 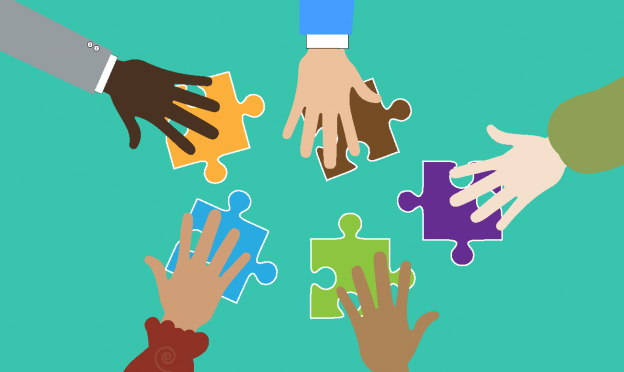 Diverse work groups improve internal understanding while the external results in success of the business, and it is seen that diversity is beneficial to both employees as well as the employers. Where as some might see cultural diversity as an advantage, it may sometimes cause a storm. If one is just beginning to recognize the potential of diversification, there will likely be more challenges to creating a more diverse work environment. Traditional ways of thinking may hinder the efforts and cause tension and conflicts. Although the transition to a diverse workplace can be difficult, employers are making an effort to making moves to diversify. They’re finding it’s worth the effort and the investment and that the results are both morally and financially rewarding. A diverse workforce is a reflection of a changing world. By ensuring that the mission and approach are aligned to the extent possible with local cultures and customs, employers may be able to build stronger relationships with their workers and minimize challenges associated with upending cultural norms and beliefs. Most workplaces are made up of diverse cultures, so organizations need to learn how to adapt to be successful. To attract, retain and motivate high-performing employees, it is essential for organizations to develop a welcoming workplace that reflects the communities in which they serve.